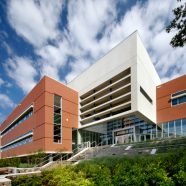 As a research-oriented university, Towson provides students with extraordinary opportunities to work alongside faculty in addressing significant issues, while also generating new knowledge to solve real world societal challenges. 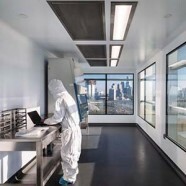 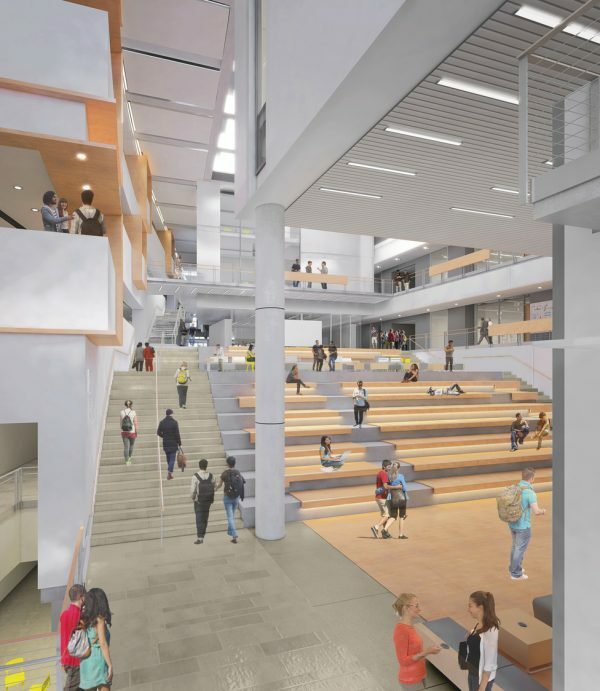 With the university’s mission emphasizing excellence in teaching, scholarship, research and community engagement, the school has identified the need to significantly upgrade its science facilities on campus. 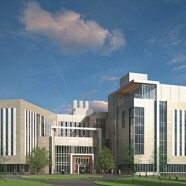 After an extensive analysis of existing science teaching and research capabilities, our design team made a recommendation for a new 300,000 sf science facility that would house all teaching, research and administrative functions for biology, PAGs (Physics, Astronomy, and Geosciences), chemistry, science education and environmental sciences. 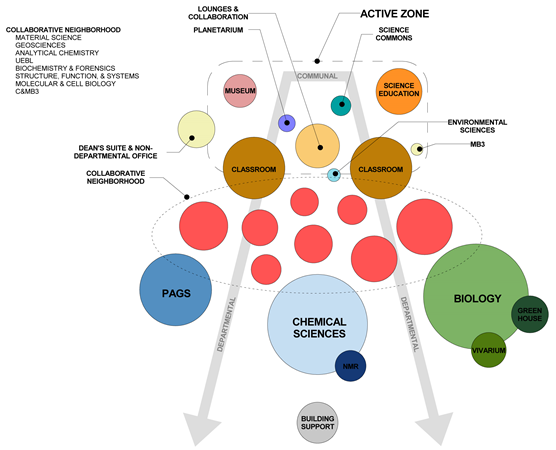 The program goal is to maximize the integration between teaching and research, and foster collaboration between multidisciplinary programs. 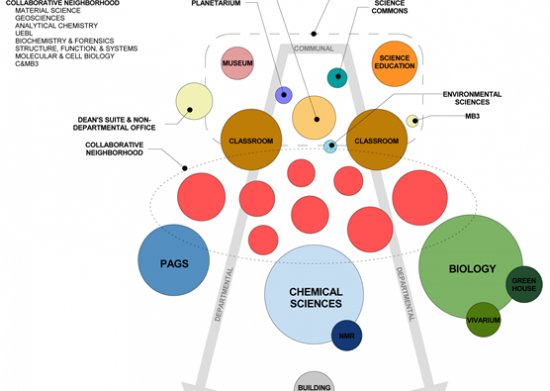 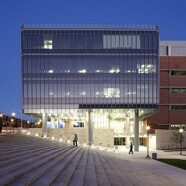 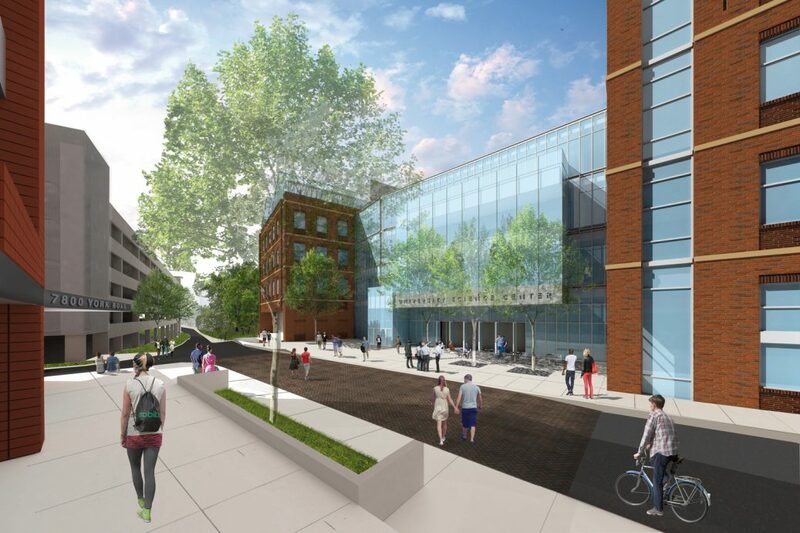 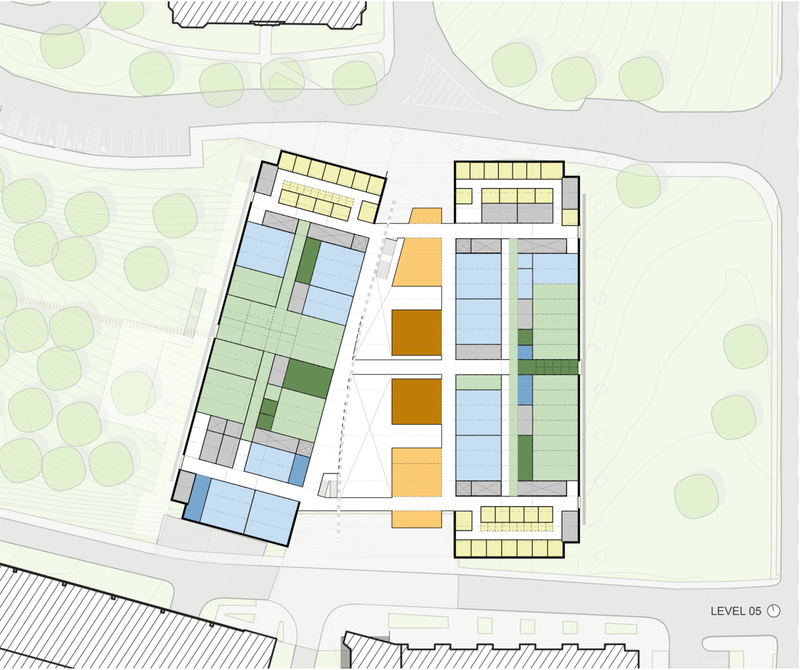 The design team established an integrated zoning concept that knit the individual departments of biology, PAGs and chemistry into other shared spaces and collaboration neighborhoods. 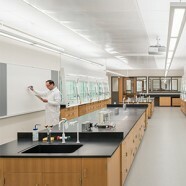 This truly multidisciplinary arrangement combines instructional, research and office elements from each department. 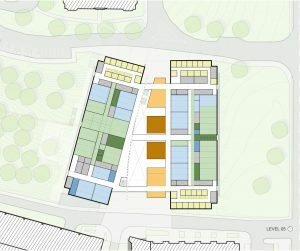 The vision is for the “collaborative neighborhoods” to maintain a higher level of flexibility and adaptability, supporting the development of emerging academic needs or other programmatic evolutions during the life of the building. 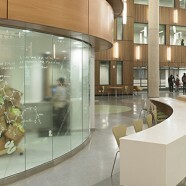 This science facility is designed to efficiently and gracefully serve the present and future faculty and student needs on Towson’s historic campus. 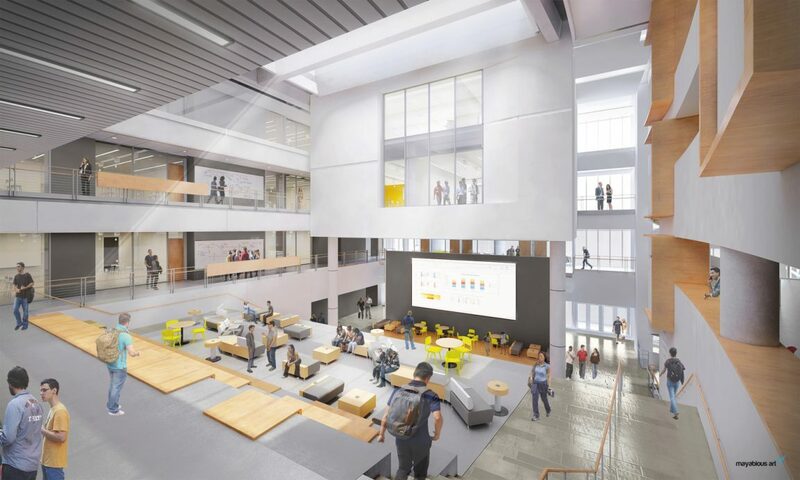 Internally, it will be a state-of-the-art design of both highly functional teaching spaces and collaborative environments for students visiting daily. 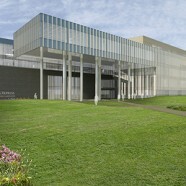 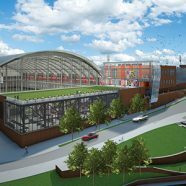 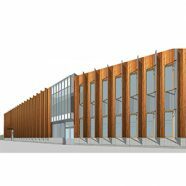 The exterior will contribute to the evolving campus context while announcing its arrival on the campus’s York Road frontage.